April 22, 2015 by iCepts Technology Group, Inc.
Microsoft Dynamics NAV is a global enterprise resource planning (ERP) solution that provides small and midsize businesses greater control over their financials and can simplify their supply chain, manufacturing, and operations. It's quick to implement and easy to use, with the power to support your growth ambition. If your company is currently using NAV, on an earlier version, you may want to consider keeping your solution up-to-date with the most current version of NAV by taking advantages of the new functionality and enhanced capabilities which can boost productivity, reduce cost and improve customer service. Upgrading your solution also keeps it running smoothly with the latest technology and infrastructure advances so you can maximize your existing investment in other Microsoft products and services. To see how your version of NAV compares, just click on the image below or link to select your current release of Dynamics NAV. This Microsoft Dynamics NAV Version Comparison Chart goes into detail of the available features and functionality from Version 4.0 to NAV 2015. 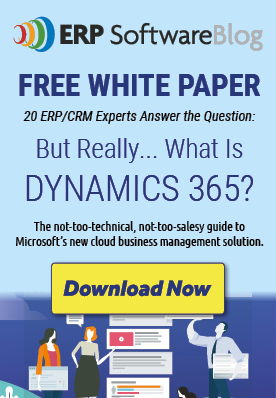 By viewing this chart, you can see key examples of how Microsoft Dynamics NAV 2015 has become even faster to implement, simpler to use and with power to support your business ambitions. If you are planning on upgrading, you now have different deployment options. Availability as either Cloud or On-Premise deployment gives you the flexibility to choose what’s best for your business.